Günter Grass’s Bad Poem. Israel’s Troubling Response. 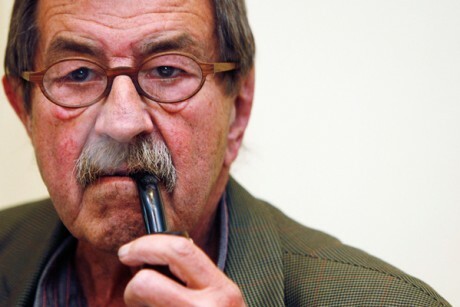 On April 4th, German Nobel Laureate Günter Grass published a controversial 69-line poem entitled “What Must Be Said.” It has since sparked world-wide debate. He is one of the leading literary figures of the 20th century; he has written a series of internationally acclaimed novels that explored both the origins and the implications of the crimes of the Third Reich. For a long time he was viewed as a thoughtful conscience of the German nation. In 2006, at 78 years old, (after he had won the Nobel Prize for Literature in 1999) he confessed that at 17, he served in the Waffen-SS at the end of World War II. This confession made many see Grass as a hypocrite, where they had once seen an important moral voice. Two days after the poem was published, Grass clarified in an interview that he did not mean to vilify Israel as a whole, but to attack the policies of Israeli Prime Minister, Benjamin Netanyahu. The international community’s condemnation of this poem was immediate and strong. However, while Grass’s poem was cringe-worthy and deeply misguided, some responses to the poem have been seriously troubling. This response is worrisome. This type of measure sets a very dangerous precedent for Israel’s democracy. To ban individuals who say things that are critical or offensive from entering the state has raised serious concerns about the future of free speech. “It’s dangerous when one politician can decide a poem is grounds for banning people. I’m sure there are quite a few short stories of mine that Yishai doesn’t like. I wouldn’t want him to prevent me from returning home next time I’m abroad,” said Etgar Keret, an Israeli short-story writer. In other words, terrorists should be barred from Israel. Not poets. I didn’t gather, from the blog, what are the specific defects of the poem. I recall reading it, and didn’t think it so bad, and in fact I thought the message of the poem was important.